SAN FRANCISCO — (BUSINESS WIRE) — March 18, 2019 — Unity Technologies ( https://unity3d.com), creator of the world’s most widely used real-time 3D development platform, announced it is working closely with NVIDIA to offer production-focused early-access for real-time ray tracing in the High Definition Render Pipeline (HDRP) on April 4, with an optimized preview solution available for customers in the second half of 2019. Once thought impossible to achieve, performant real-time ray tracing delivers, via the NVIDIA RTX platform, photorealistic image quality and lighting for any task where visual fidelity is essential, such as for design, engineering, or marketing, at a fraction of the time of offline rendering solutions. The technology provides a key advantage to creators because it mimics the physical properties of light, allowing developers to make and dynamically alter creations that blur the line between real-time and reality. 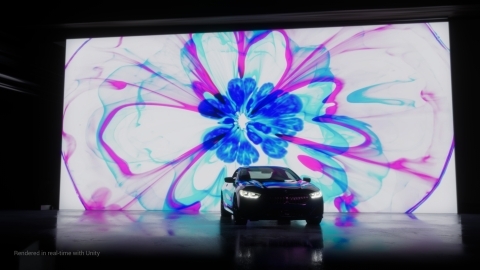 To highlight what is achievable with real-time ray tracing, Unity and NVIDIA collaborated with the BMW Group to showcase the 2019 BMW 8 Series Coupe, recently lauded as “Design of the Year” by Automobile Magazine, in a demo called “ Reality vs. Illusion: Unity Real-Time Ray Tracing.” Rendered in real-time in Unity, viewers are shown a real car and a version of the car powered by Unity and NVIDIA; the dazzling array of lights and visual fidelity makes the vehicles indistinguishable from one another. For situations that demand maximum photorealism and the highest visual fidelity, ray tracing provides reflections and accurate dynamic computations for global lighting. This more accurately demonstrates the physical properties of a surface and creates lights and shadows that mimic how they would appear in real life. Real-world applications for ray tracing within the automotive industry include the power to create and rapidly iterate on lifelike marketing stills and videos that are near-film quality. In engineering and design, real-time ray tracing’s ability to faithfully recreate real-world materials and lighting scenarios unlocks the capabilities to identify design flaws, such as dangerous reflections or blind spots in a car’s design, and address them before going into production. Unity exists to empower success of the world’s creators with the most accessible and powerful real-time 3D development and monetization platform. Games and experiences made with Unity have reached more than 3 billion devices worldwide this year and were installed more than 29 billion times in the last 12 months. For more information on Unity’s Automotive offerings, please visit the Unity for Automotive & Transportation Website. Unity is the creator of the world’s most widely used real-time 3D development platform that gives developers around the world the tools to create rich, interactive 2D, 3D, VR and AR experiences in various industries including games, film and entertainment, automotive, architecture, construction and engineering (AEC). Unity’s 1,000 person development team keeps the company at the bleeding-edge of technology by working alongside partners such as Google, Facebook, Magic Leap, Oculus and Microsoft. The platform’s renowned flexibility gives developers the power to target and optimize their creations for 25+ platforms. Games and experiences made with Unity have reached 3 billion devices worldwide and were installed more than 29 billion times in the last 12 months. For more information, visit www.unity3d.com and to see the latest games and experiences created in Unity, go to https://unity.com/madewith.